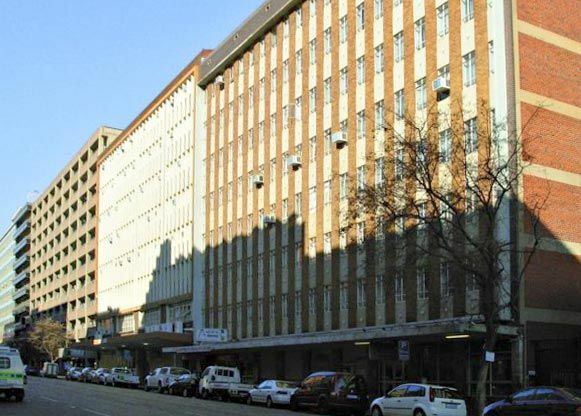 This 8 storey office building is situated in the CBD of Pretoria along one of the main street arteries. It is in close proximity to the Sedibeng and Ndinaye House buildings and enjoys the same excellent public transport. Internally the building has been modernised while the external modernisation has just commenced. The building provides 10 383m² of modernised offices as well as 87m² of shops on ground level. Two newly installed lifts provide vertical transport while a central air conditioning system insures a pleasant environment in the offices. To cater for the parking needs, 32 parking bays are provided in the building while additional parking facilities are provided in close proximity.